Are you living the life God imagined, or settling for something less? If that divine dream often seems uncertain and elusive, this book will be a light in the fog of your confusion, a compass for your journey. God’s promises and plans for His children are magnificent! But there’s a problem—our mediocre lives often do not reflect His magnificent plan. Fortunately, there’s a simple solution to bridge that gap. From Mediocrity to Magnificence will take you through the promises, the problem, and the prescription. 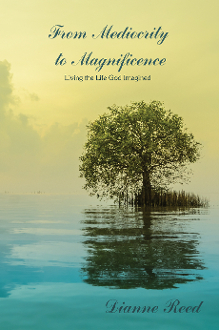 Come discover God’s cure for mediocrity, and begin living His magnificent dream for you!